"Fromanger has changed the direction of the Pearl Flute Headjoint!" These are the words of Pearl Flute masters, Messrs. Shimoyama and Hirose. It took many attempts and many visits amongst Japan, Munich and Paris to finally achieve success. 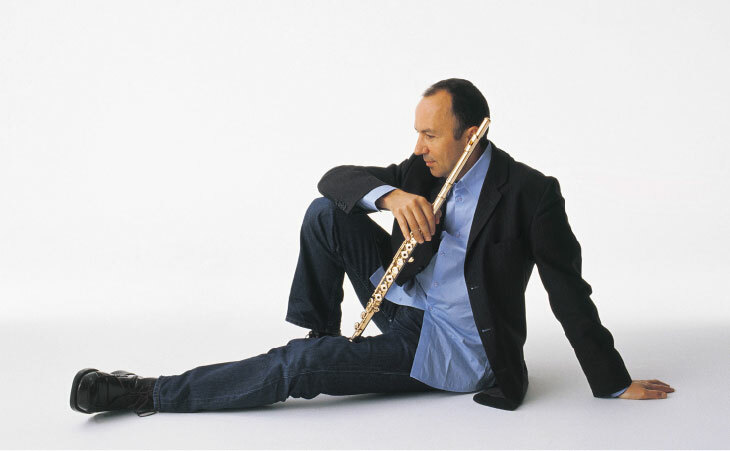 The first Pearl Flute headjoint sample was shown to Benoit in Munich during the spring of 2000. His reaction -"Good sound, very well made, but I need more power with greater intonation and dynamics." After a few more months, Benoit tried the second sample in Paris-"Much better, but I need more power!" We invited him to Japan to work with our master flute makers so that we could accommodate his needs - 101%. After many more trials, success was achieved in September 2002. "This is it! This is what I've been looking for. This is the best ever, compared to any other brand..."
The headjoint was named the "FORTE". Besides the fantastic playing qualities of the Forte, Pearl has made the headjoint as aesthetically beautiful as a piece of fine jewelry. We strongly believe that this jointly developed new generation of headjoint has changed not only the direction of Pearl Flute, but also of the entire flute industry. We are proud of this achievement.